As I wrote last week in my first story on TheStreet.com, I’m bullish on the prospects of FinTech and wider tech industry’s recent and upcoming IPO’s, so I’ll shift focus my this week from marketplace lending to marketplaces for equity markets. Last week, well known New York startup – and yet another success story from Fred Wilson‘s Flatiron Ventures – Etsy, went public. Although not a FinTech company, my interest in Etsy’s IPO is due to equity crowdfunding aspect of its IPO. 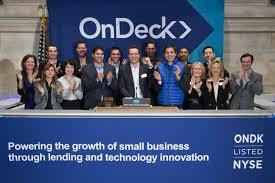 You may think it was just another IPO – just as OnDeck, the fintech company, went public in Dec. 2015. But, while my former colleagues at investment bank Morgan Stanley took Etsy public, what was unusual was a portion of the offering was reserved for crowdfunding – in keeping with the company’s focus on individuals, and it’s story of empowering individual artists and designers. Beyond the company’s desire to do something with its public offering to reinforce its brand, it was pretty surprising to me that Morgan Stanley allowed individual investors without a relationship with Morgan Stanley to get shares. In my experience, high profile anticipated IPO’s, such as last year’s Nimble Storage, are very hard to get access to as a regular retail investor. In fact, this is often touted as one of the benefits of doing business with a full-service broker. What’s going on? Why would a very traditional investment bank, especially Morgan Stanley – with its core strategic wealth management business – be open to equity crowdfunding that in some ways undermines its business model? As part of broader development of crowdfunding – from new products (e.g. Kickstarter), stakes in startups (e.g. CircleUp, AngelList), loans (e.g. Prosper, Lending Club) – equity crowdfunding is finally growing in acceptance and importance. In fact, the biggest FinTech IPO of 2014 offered an equity crowdfunding component: While underwritten by Morgan Stanley, LendingClub offered crowdfunding using Fidelity Investments (where I began my career). In the case of Etsy, last week, however, Morgan Stanley used not the market leader, LOYAL3, nor Fidelity, but rather its own in-house global stock plan services (GSPS) capabilities, along with its platform partner, IPREO. (Morgan Stanley is a leader in stock plan services from when Citi’s contributed GSPS to MSSB joint venture; Colbert Narcisse, the long-time leader of the unit is a well-known innovator). Bottom line: From the conversations I’ve had with those who in this industry, what’s driving this change is increasing market validation of the role and value of equity crowdfunding. Another recent success in the context of the IPO market is this month’s underwriting of GoDaddy, where LOYAL3 played the role of partner to enable retail investors to participate in IPO. 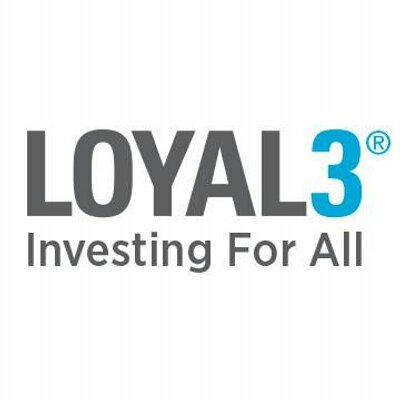 LOYAL3 is a great company that’s a “marketplace” for direct investing and getting access to IPO’s. Like many leaders in FinTech, it’s based here in San Francisco at border of the Financial District and SoMa, near Prosper and Lending Club. It’s the industry leader in its space. LOYAL3 signs up companies – from tech companies like Amazon, Twitter, Yahoo, Facebook and Apple, to others ranging from Mattel, Hasbro, and McDonalds – so that individuals can buy their stock directly at low cost. Direct investing in companies has been around for a while, however LOYAL3 brings innovations from its technology to make it easier to focusing on the “brand building” and relationship aspect of “investing in what you love,” its earlier tag line. It makes sense – an example of investor Peter Lynch’s rule to invest in what you know. I expect to see LOYAL3 and others riding the wave of giving individuals access to low-cost investing and access to IPO’s in 2015 and beyond. Strategically, they might expand into the pre-IPO crowdfunding market (where CircleUp competes). Although it’s really anyone’s guess as to which companies will go public, the legendary Morgan Stanley IPO team I saw at 2725 Sand Hill Road – including Andy Kearns, Dave Chen, Paul Kwan – will offer VC-backed tech firms advice on timing. But based on public information I’ve read in the press, several of the big FinTech names are all considered strong contenders to go public in the next year, including Oportun (formerly Progresso Financiero), PayPal, Square and Stripe. Others, such as Ant Financial (Alibaba’s finance arm) and Avalara, a cloud-based solution for taxes may follow: the pipeline for FinTech IPO’s will be interesting to watch. Since today is 4/20, I’ll wrap up by saying when it comes to IPO’s: I’ve Got Five on It. It’s not a lot of money, but the individual investor should be able to participate in this asset class, and hats off to those who make it happen. Posted on April 21, 2015 April 22, 2015 by Michael Halloran	This entry was posted in Uncategorized and tagged Etsy, IPREO, Loyal3, OnDeck, Oportun, PayPal, Square, Stripe, Union Square Ventures. Bookmark the permalink.